Lady Mephista available on www.dominity.com ! 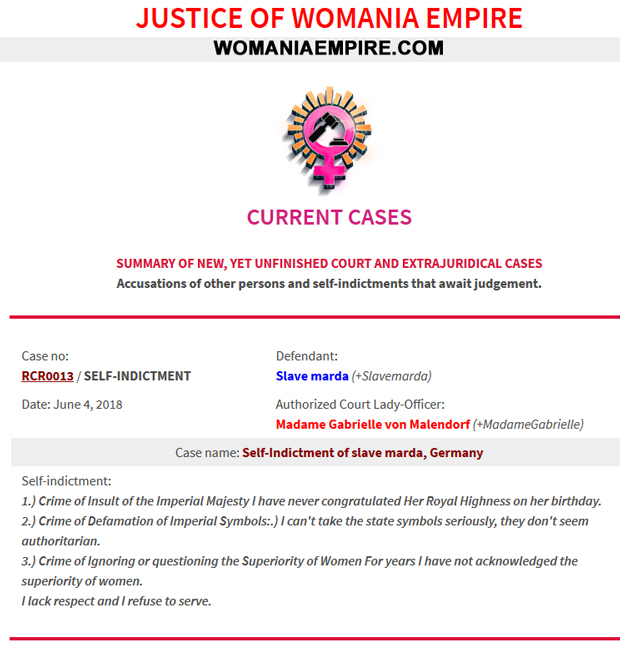 New Commitment to support Womania Empire Castle Fund! SIGN UP FOR FREE WOMANIA NEWSLETTER !!! or even live 24/7 in ultra-Matriarchal society where Women rule? Stop dreaming and support us! 50 cents a day can be donated by everyone! 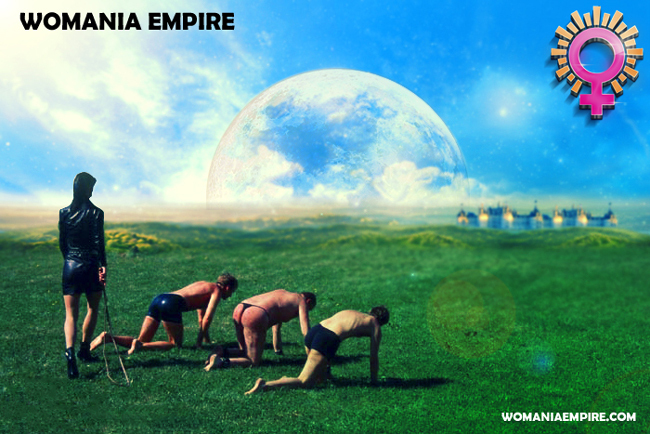 Send your Commitment to support Womania Empire Castle Fund! Be useful - Filming slaves wanted! 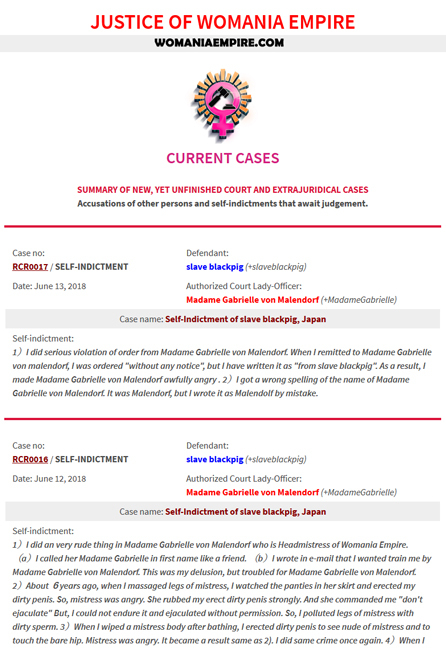 New Court Case no. : RCR0013 has been published today! Sentence in Case RCR0010 has been published today! Women Rulehttps://womaniaempire.com/list-sentences.php, Judge & Punish!